Gaming is on a high! 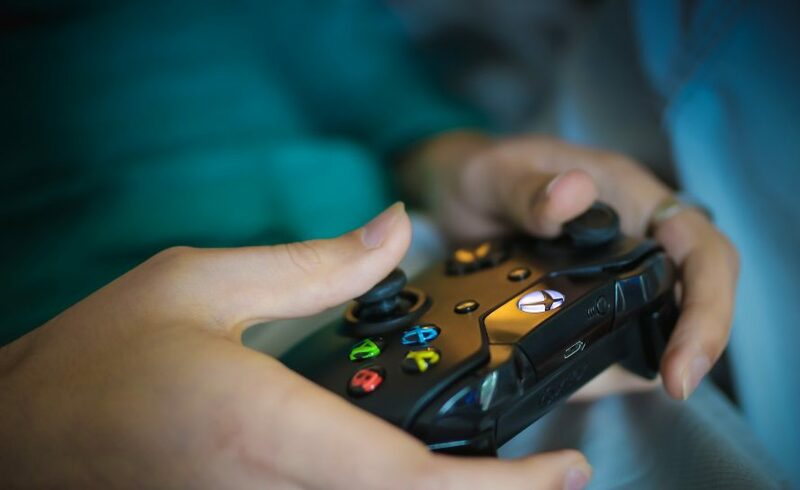 Video games in the U.S. have enjoyed their best year ever according to data published by the Entertainment Software Industry. Revenue in the United States, including hardware, software, peripherals and subscriptions, amounted to $43.4 billion in 2018, up from $36.9 billion a year earlier. To put things in perspective, it’s worth comparing con sumer spend on video games to the money flowing into other entertainment sectors: box office revenue amounted to $11.9 billion in the United States last year, music industry revenue stood at $8.8 billion in 2017 and home entertainment spending, incl. DVD and Blu-ray sales, digital downloads and Netflix-style video streaming, amounted to $23.3 billion last year. 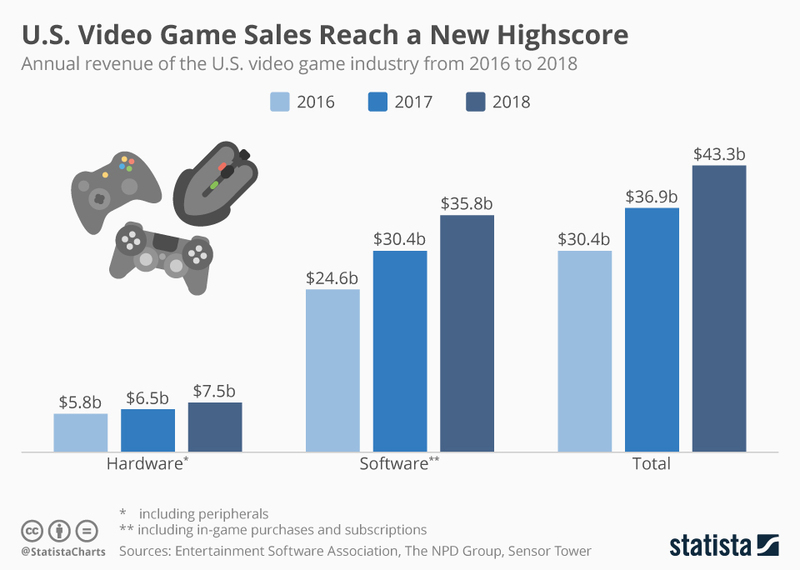 Add to that the 220,000 jobs the video game industry supports in the U.S. and it becomes clearer than ever that video games are no mere child’s play. In many ways, these figures endorse the opinion of Netflix that the company now thinks “Fortnite” is a bigger threat to its business than HBO. In its latest quarterly earnings report Netflix said that while its streaming service now accounts for around 10 percent of TV screen time in the U.S., it no longer views its competition only as those services also providing TV content and streaming video.